School-based mental health programs are increasingly being implemented as an affordable, effective, and productive way to provide mental health services to children and adolescents with social, emotional, and behavioral problems. Providers in these programs are in a unique position to work closely with parents to address the needs of children in their program and help to promote good home-school collaboration. 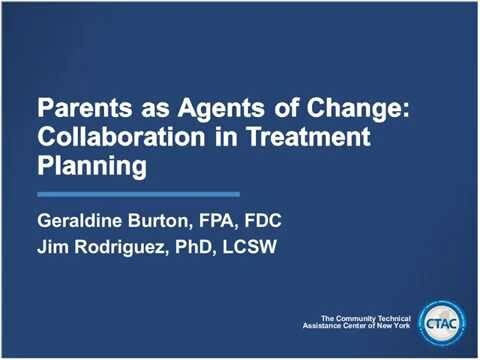 In this webinar, school-based mental health providers will be provided with tools and strategies for increasing engagement with parents or caregivers of children and adolescents on their caseloads to better meet students’ needs. Target Audience: School-Based Mental Health Providers for all grade levels.